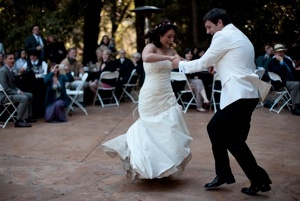 "We wanted to let you know that our first dance went fantastically! Everyone loved it and people are still raving. We pulled it off very well. One thing we didn't account for was how loud the crowd would be. There were a lot of parts in which we couldn't hear the quartet because the guests were cheering so much. So we have judged it a great success and appreciate all your help in the process." "Bravo to Sofia Ahmad who taught Tristan and Jeremy to ballroom dance. They had no training before in the art of dancing and it is a joy to watch them gracefully perform." "We took a group swing lesson with Sofia. 6 couples, all parents, who rarely get out, and we had a total blast. She was fun, easy going, and we learned enough steps in one lesson to really get the feel for swing. She was kind enough to connect us to places to go swing dancing around the area to practice our new moves. I liked how she used various methods to teach the same move. Her laugh was infectious and she handled each couple's individual needs with grace and patience. "One more giant thank you for the fun and highly successful dance lessons. We got a ton of compliments on our dance, and we had a great time doing it! We even did it again three weeks later at a reception Evan's parents threw for us in Philadelphia, and managed to look like we still knew what we were doing (despite not having practiced at all in between, since we had no idea we'd be doing it again!)... We really appreciate your help-we definitely couldn't have done it without you!" 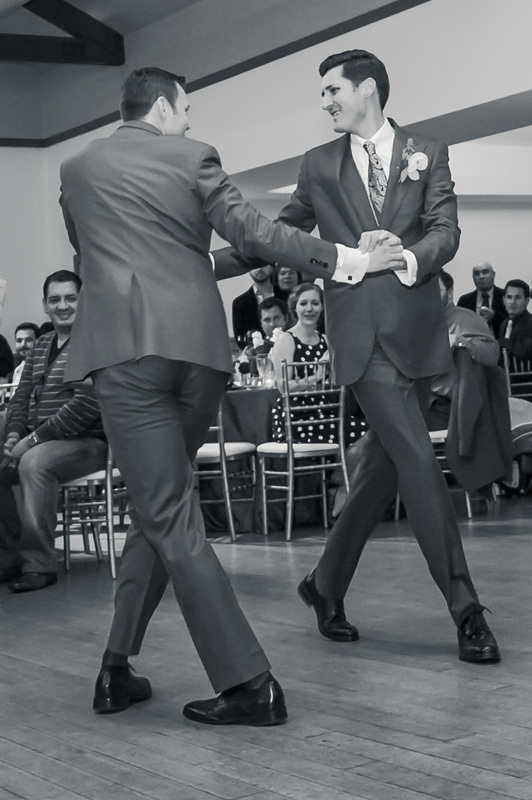 "All of our guests loved the rhumba that you choreographed for us, many expressed their opinion that the dance was the best part of the wedding! Thanks so much for making us look awesome. I'd be happy to refer you to any couple looking to wow their guests on their big day with an amazing first dance." "Just to let you know... 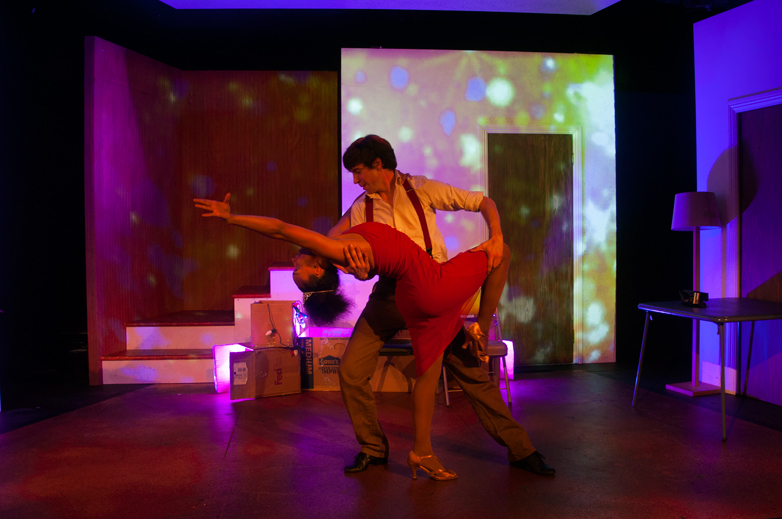 The dance was a HUGE hit… seriously, people just loved it. Thank you so much. 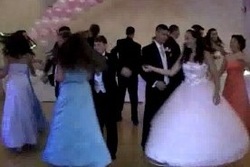 We had so much fun meeting you and learning this memorable first dance :)"
"The dance went AWESOME! Can't wait to show you the video… I wanted to thank you so much for your skill at teaching left-footed adults." "I wanted to thank you again - everybody was so impressed with the waltz." "Thanks for being an awesome salsa teacher"
"We really love the moves you have taught us. Thank you"
"It was really fun working with you." "Thanks so much for all you did to make the night so full of magic…"
"I have nothing but praise for Sofia. She recently led a group lesson at my house (10 dad-daughter couples), and was every bit as fabulous as the previous comments suggest. She was fun, patient, had an easy smile, and everyone adored her. On substance, I was stunned by what she was able to accomplish in less than two hours. What a combination! Next time I have a hankering to get my funky chicken on (or lindy hop, or swing, or salsa), she's at the top of my list." Click to read this review on YELP! 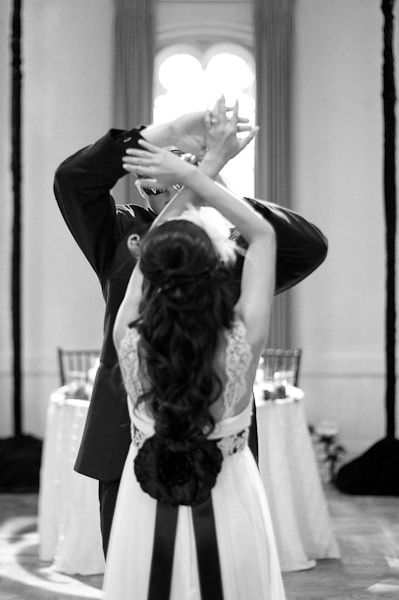 "My sweetie and I signed up for a series of dance lessons from Sofia a couple months before our wedding … Her warmth, professionalism, sense of humor, and patience immediately set me at ease. In addition to being utterly delightful, she's an amazing teacher. If I didn't seem to get something she was explaining, she quickly found another (and sometimes yet another) way of approaching the explanation until it made sense to me and I could translate it into what my feet should be doing. I can't recommend her strongly enough!" Click to read the full review on YELP! 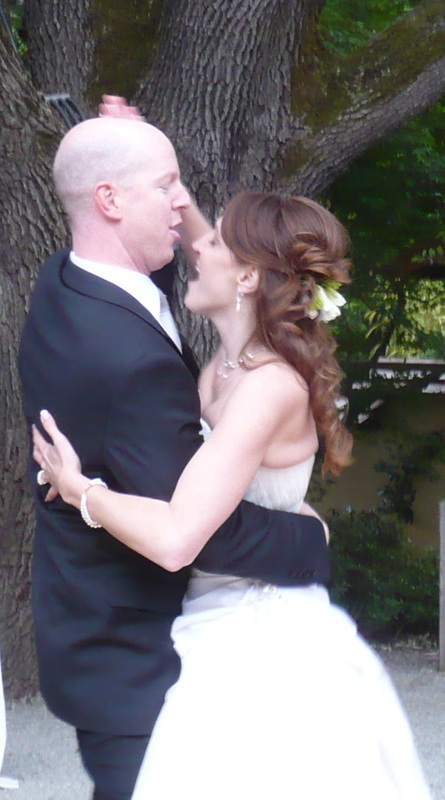 "My husband and I took tango lessons with Sofia before our wedding, and we can't say enough about her patience and flexibility in teaching someone with two left feet! She choreographed a great routine for us using music of our choosing, and, to top it off, she was willing to travel to us. Thank you, Sofia!"